All the magic of a faraway time and place are captured in this enchanting tale about a young rogue and the genie who helps him win the love of the Sultan's daughter. 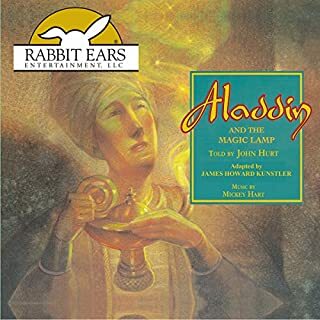 Actor John Hurt narrates an artful interpretation of Aladdin's quest, faithful to the classic story from 1,000 and One Nights that has been entertaining audiences for thousands of years. 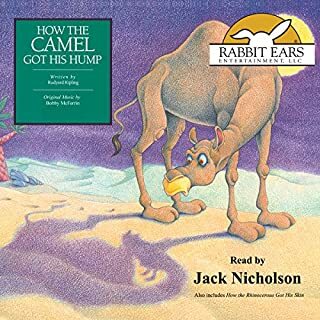 This playful tale is one of the best known of Rudyard Kipling’s Just So stories. In this one, pride and arrogance prove to be the downfall of a lazy camel. Finn McCoul is the greatest champion in all of Ireland, but when he discovers that the brutish giant Cucullin is after him, even the great Finn gets a wee bit nervous. But with some ingenious culinary magic on the part of his clever wife, Finn manages to get out of the scrape with his dignity intact. Well, most of it! This rollicking version of a beloved Celtic legend, read by actress Catherine O'Hara, with music by Boys of the Lough, will light up your ears. Here are two hilarious Jamaican folktales about the original story spinner himself, both read by Denzel Washington. Anansi the spider is teeny-teeny, but his boasts are as tall as tales get. In the first story, Anansi takes Tiger's challenge and outwits the prideful snake to win possession of all the stories in the jungle. In the second story, Anansi devises a scheme to appear important at his mother-in-law's funeral but gets caught in his own lies and winds up as bald as a mango. Keith Carradine adopts the colorful persona of Will Rogers to tell the true story of Annie Oakley. She was an angel in buckskin on a big, spotted horse. With two six guns blazin', Annie Oakley was the star of Buffalo Bill Cody's famous Wild West show for almost 20 years. Your entire family will enjoy this spirited tale of a talented frontier woman whose sharp-shooting exploits brought her international fame. The rollicking musical score by Los Lobos provides a decidedly frontier flavor. Actress Emma Thompson narrates this story, which is based on an 18th-century French fairy tale. In this magically romantic book, a young prince befriends an enchanted cat-queen. She provides him with the rarities requested by his father, in a series of increasingly difficult challenges to win his kingdom. Their affection for each other blossoms into love, and the prince helps break the spell that an evil gnome has cast over the white cat. Musical accompaniment is by Joe Jackson. Hop on board the biggest ship ever built and hold on tight for the story of Captain Stormalong, the saltiest sailor to sail the seven seas. Actor John Candy narrates the tallest fish tale any landlubber has ever heard, and your family will be hooked on this hilarious tribute to American's Golden Age of Sail. An original score by NRBQ compliments this hilarious telling. Ages four and up. Part of the award-winning Rabbit Ears series, American Heroes and Legends. Hidden deep in the blue forest of Norway, there live a peasant farmer and his family. In a fierce storm, a mysterious white bear arrives with a strange proposal to make them rich if their youngest daughter will go to live with him in his golden cavern. They agree, and for a time all goes well, but when the girl ignores the kindly bear's advice, she must travel to the castle that lies east of the sun and west of the moon to face the horrible Troll Queen. This touching Scandinavian tale, read by actor Max von Sydow, will transport your family to the faraway land of the midnight sun. The story is accompanied by original music by Lyle Mays. For ages seven and up. 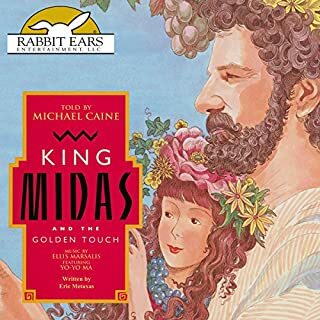 Part of the award-winning Rabbit Ears series We All Have Tales. 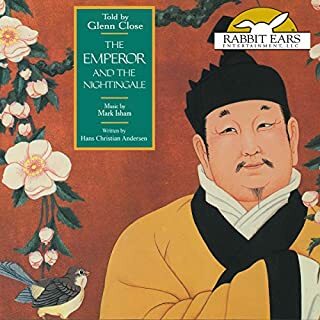 Rabbit Ears stories open a door to the world of great literature. These are timeless and beloved stories that have delighted generations and continue to offer powerful lessons for today's audiences. 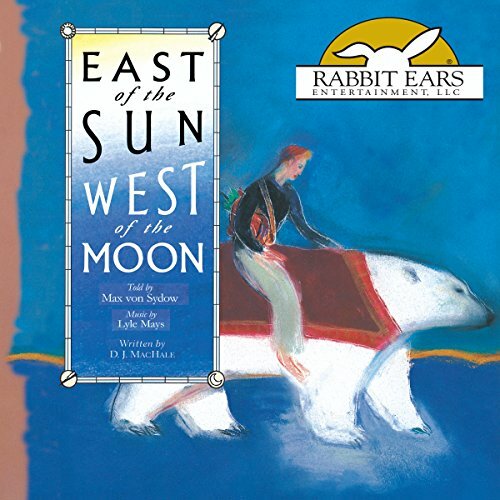 Listeners of all ages will explore faraway lands and cultures through folktales. You will walk alongside heroes of long ago legends and discover master storytellers such as Beatrix Potter, Hans Christian Andersen, and Rudyard Kipling. Great stories. Great family memories. 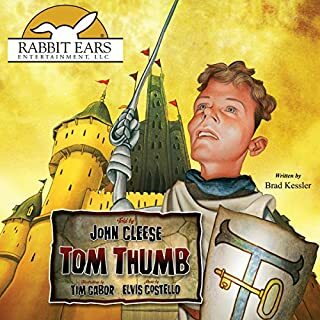 Get the entire Rabbit Ears library! Classic Fairytale full of magic! I loved it. 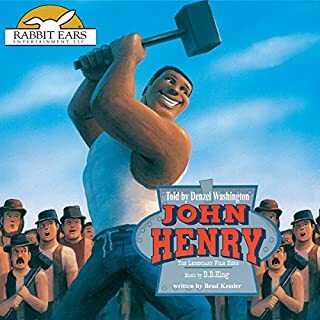 The narration is just brilliant and the music brings it to life. The story is very good, the narration is well done and the music is great. What more could you ask for?